I hate wasting food, so I’m all about precision when it comes to planning my groceries for the week. The one food that never fails to trip me up, though, is fresh herbs. So over the years, I’ve gotten good at coming up with ways to use leftover fresh herbs before they go bad in the fridge. Here are some of my favorite methods for cutting down on kitchen waste and putting them to use. I keep a plastic ziplock bag in the freezer where I hoard kitchen scraps–onion skin and ends, the leafy parts of celery, carrot peelings, and herbs. Parsley and woody herbs like rosemary, sage and thyme are my favorite additions. 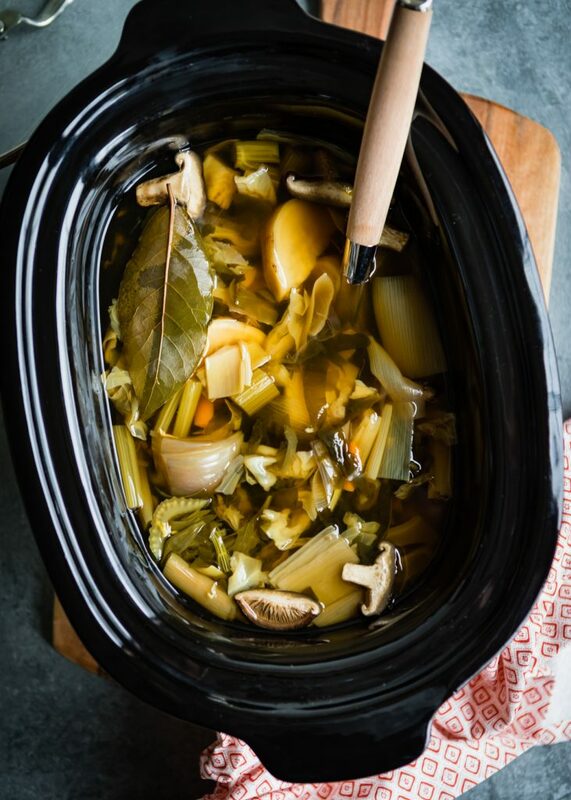 When the bag is full, I dump it in a huge stock pot, fill it up with water, and simmer it for a few hours on the stove to make stock, which I freeze in 1-cup portions for whenever I need it in a recipe. Parsley, cilantro, mint, dill and basil can be made into pesto–you don’t even need a recipe, just add a nut or seed, oil, parmesan cheese if you want, and season with salt and pepper. I freeze the pesto in 1-tablespoon portions in an ice cube tray, then pop the cubes into a freezer bag so I have them on hand for quick pasta dinners. Or, if you want something a little more saucy, try this Garlic Herb Sauce. 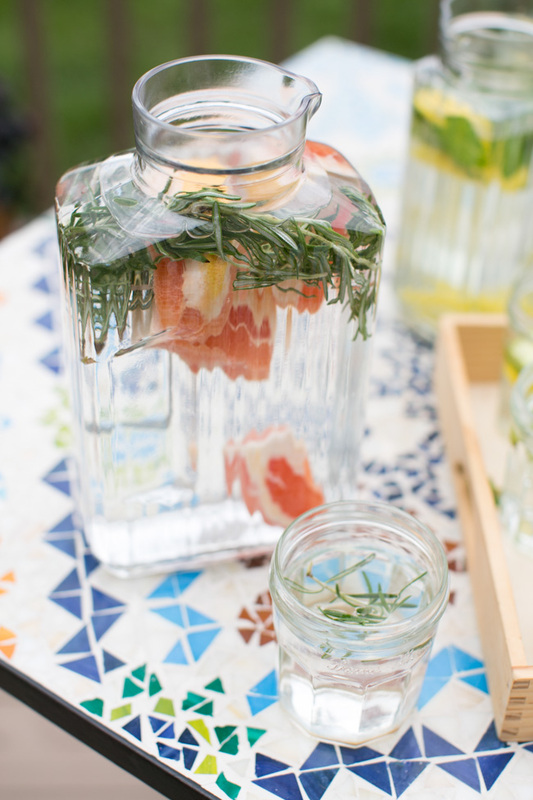 Over on Hello Glow, we have so many good infused water ideas. I personally love the combination of citrus and herbs. Lime and cilantro? Yes! Lemon and rosemary? Totally! Orange and thyme? Living! For! It! IKEA has nice glass pitchers with cork lids that are perfect for infused water. If you’ve got a little more patience, you can also use fresh herbs to infuse homemade digestive bitters and fire cider. You can freeze herbs for using in soups and sauces later by chopping them, placing them in an ice cube tray, and then filling the tray with water and freezing. I wouldn’t use these herbs as a garnish, but they’re perfectly fine for using in cooking. I never really thought of adding fresh herbs to a salad until I saw a salad mix at the grocery store that had fresh parsley in it. Why didn’t I think of that?! 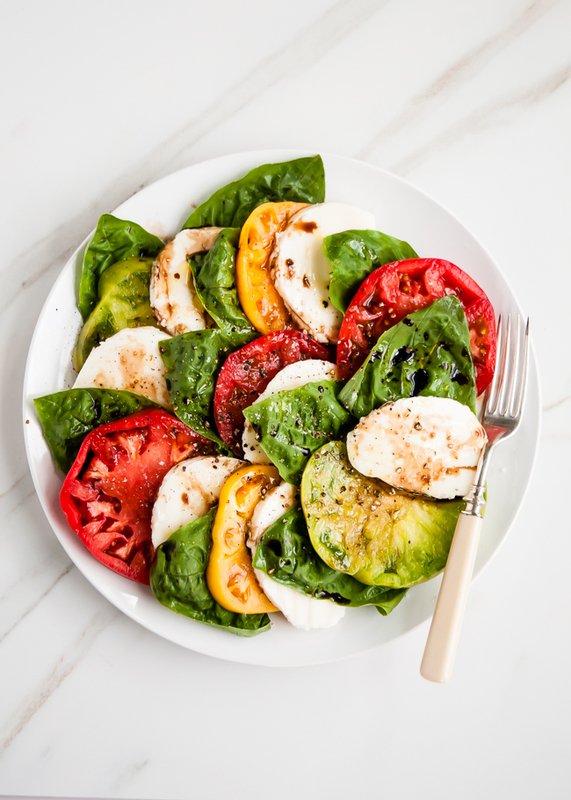 Parsley, mint and cilantro are great added to spring greens and basil leaves are essential for a summer caprese salad. Other herbs, like thyme, dill, rosemary, and oregano, can be finely minced and added to homemade vinaigrettes or store-bought dressings to give them a little boost. If you’re a fan of cocktails–or even homemade soda!–you will love having herbal simple syrups on hand. I’ve made them with basil, thyme, mint, and rosemary, but I think you could pull it off with just about any herb you need to use up. It also happens to be the best way to sweeten homemade lemonade, in my humble opinion. 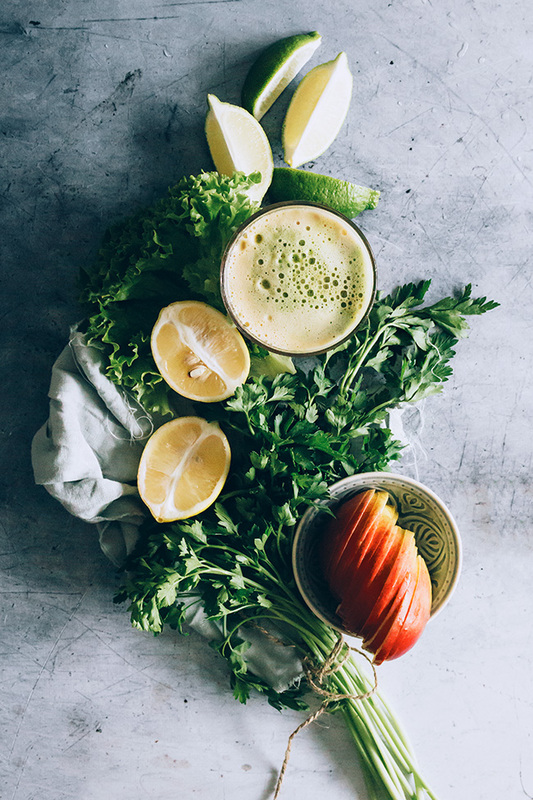 Parsley is a common addition to green juices–it might not sound very appetizing, but it’s really not that bad when it’s paired with lemon and it’s great for immune system support. If, like me, you’re more of a smoothie person, try adding cilantro to your next fruit smoothie instead of spinach. Canned soup, jarred pasta sauce, rice or quinoa sides in a box–they can all benefit from adding a few tablespoons of fresh herbs. I often plan a pasta dinner the day after I make a recipe that calls for fresh basil because I chiffonade the leftover fresh herbs and stir them into store-bought marinara sauce. Over on Hello Glow, some of our favorite DIY beauty treatments use fresh herbs. Got dark circles? Try this Parsley Eye Mask. Face need some TLC? 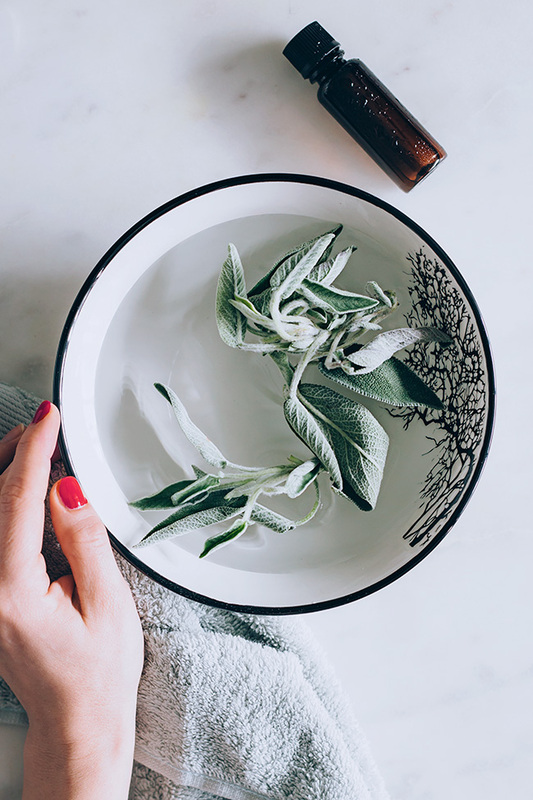 Here’s how to use fresh herbs in a DIY facial steam. Sage is also an integral part of this 3-step spring facial. You can make your own dried herbs! A dehydrator is the easiest method, but if you don’t have one, you can string them up and do it the old-fashioned way. Crumble the dried leaves and put them in jars and you’ve got homemade dried herbs that are way fresher than the ones you buy at the store.